Walking is an essential activity for most dogs, both for exercise, state of mind, and elimination purposes. When your dog has an injury, is in recovery from surgery, or is debilitated by arthritis or other age related conditions, this can create major hiccups. In these circumstances the CareLift lifting harness can make a real difference in your dog's quality of life as well as your own. Helps dogs climb stairs, get into vehicles, and go for a walk. 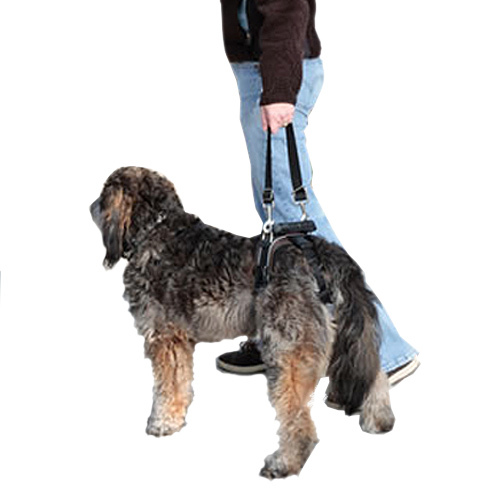 You can lift your dog's back end using either the adjustable leash or the easy grip handle. Looking for a solution which stays on your dog? 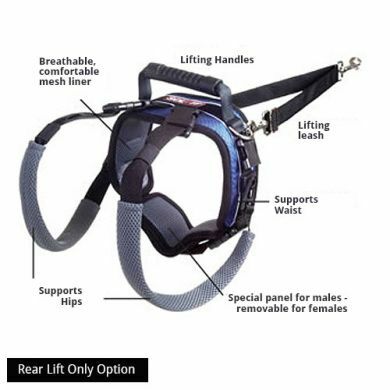 When using the CareLift Lifting Harness - Rear Only your harness will need to be attached to your dog each time you use it. If you are looking for a solution that stays on in place have a look at the CareLift Full Body Lift Harness which can be kept comfortably on your dog. Also, when using both the front end and back end components the CareLift supports your dog from the abdomen and hips which distributes the pull better on your dog's body. Even if you only require the rear portion you may find that having both portions provides extra support and added convenience. Any questions? Feel free to give us a ring on 1300 725 781. We're here to help! Read 7 customer reviews of CareLift Lifting Harness - Rear Only . The average customer rating is 4.7. With this harness our 14 year old lab, Winston, can still enjoy some walkies, which are doing him good. Wish I bought it earlier. Purchased this harness to assist my dalmatian cross when we go on walks. He has a bulging disk, which is affecting the range of movement in his rear legs. It works a treat, except when he wants to run and I have to too! :) It does slip over his rump a little when there is no pressure applied, but this could be easily fixed by buying the front harness or attaching it to an existing harness, which is what I did. Complete back saver!!! Once he got used to it, he left it on all the time and it so helped him traverse the stairs more easily. Has helped my 14 y o cattle dog enjoy what exercise she can manage. She has Degenerative Myelopathy. Very pleased with it. She only goes for very short walks as she tires quickly. Great for lifting her over obstacles etc.The only problem I have found is the leg strap swivel attachments come undone quite easily and I almost lost one of them. Sometimes we just use the belly strap for in-house/garden moving as my dog is totally incontinent and has to wear nappies inside. The leg straps are not effective when wearing nappies.Helps me considerably for lifting and eases back pain for me.Great product. Thank you. Having bought the care lift lifting harness for my dog it has given me the avilitity to take him places we used to go to before he became paralysed . Having a small child I am able to walk him whilst pushing the stroller. It has given him quality of life. We have a 14 year old Kelpie who has had spinal surgery and of course needs assistance to walk. This Carelift Rear Lifting Harness was just the answer. Easy to put on and very effective. 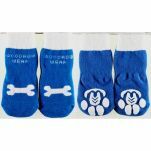 We thoroughly recommend this product for quality of life for your best friend! Jedd is our 11 year old Old English Sheepdog. He has had two knee reconstructions and his back legs are very arthritic. At times getting up is very painful and a real struggle. The front is willing but the rump is weak. We use the boots we purchased from Waggle to give him grip but he really needs assistance to get to his feet when the legs are bad. The rear harness is great - our Vet thinks it's a god send. We can gentle help him rise and the extra damage he can do - especially to his hip joints - is avoided by his not having to scrabble to get a grip on the ground. The only issue we have had with the rear harness is that it sometimes slips off the back end. We're seriously considering getting the front harness just to make sure it stays on well. Jedd loves the harness - he had no fuss when I put it on the first time and after just two weeks of wearing it he realises that it is helpful. When he's ready to get up he gets into a sit position, looks meaningfully at whoever is closest and waits for someone to gently help him stand. As out vet said last week - it's so well made, and so ingenious it's perfect for older arthritic dogs and will help us keep Jedd with us for much longer than we or he expected.